Would you be interested in a Campus Kids Program in your child's middle school next year? If so, please complete the attached survey so that we can see if there is enough interest to implement a Campus Kids program at your child's middle school next school year. If you have already completed the survey, please do not respond again. Please complete the survey on or before Friday, March 29, 2019. Thursday, March 21, 2019 at 8:00 a. m. & 10:00 a.m.
Thursday, April 11, 2019 at 8:00 a. m. & 10:00 a.m.
Thursday, April 18, 2019 at 5:30 p.m. The dental mobile van will be at E. J. Swint on April 25, 2019. Please mark your calendars for this important date. Parents, please complete this survey. Your participation is greatly appreciated. The National Beta Club is the largest independent, non-profit, educational youth organization in America. And for more than 80 years, it has prepared today's students to be tomorrow's leaders. To promote the ideals of academic achievement, character, service and leadership among elementary and secondary school students. Today YOU lead the school. Tomorrow YOUR students will lead the world. Reading is fundamental. In fact, it is one of the most important ingredients to becoming all that you can be. Reading develops your brain, provides a window into the world around you and helps you do better in all school subjects. Most importantly, reading can not only help you become a better student, but a better person. You can learn from the brightest people whenever and wherever you choose. So dive into a good book by accessing myon.com daily, the reading adventure awaits you. 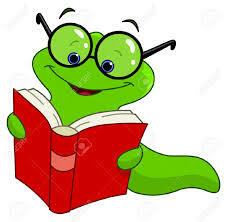 You can also search our library for exciting books, just click the link and let the fun begin. "It is not enough to simply teach children to read; we have to give them something worth reading. Something that will stretch their imaginations--something that will help them make sense of their own lives and encourage them to reach out toward people whose lives are quite different from their own." Swint is one of the 1,037 Georgia schools that beat the odds in 2016, performing better than statistically expected on the College and Career Ready Performance Index (CCRPI). The Beating the Odds analysis predicts a range within which a school’s CCRPI score is statistically expected to fall; given the school’s size, grade cluster, student mobility, and student demographics (including race/ethnicity, disability, English learners, and poverty). If an individual school’s actual CCRPI is above the predicted range, then that school beat the odds.